Hey Babes! It’s Spring! It’s Spring! It’s Spring! And I am diving head first in the most fun hair trend of the season. Have you seen it? 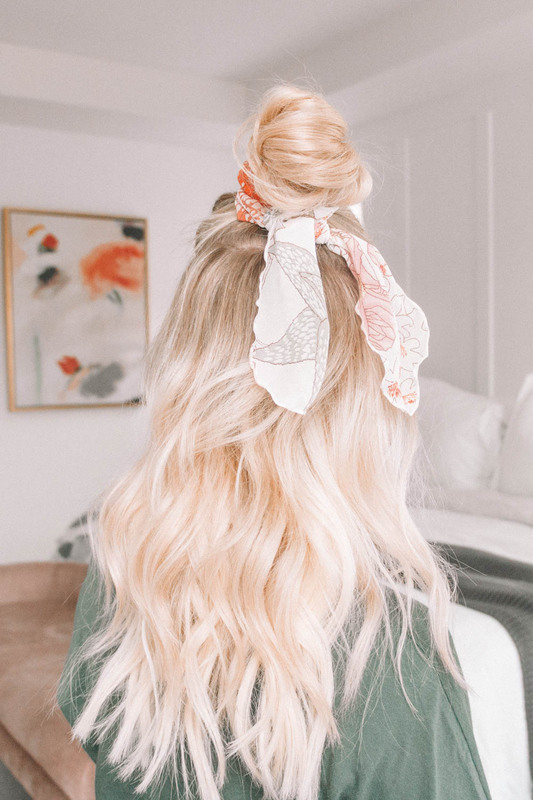 The hair scarf. 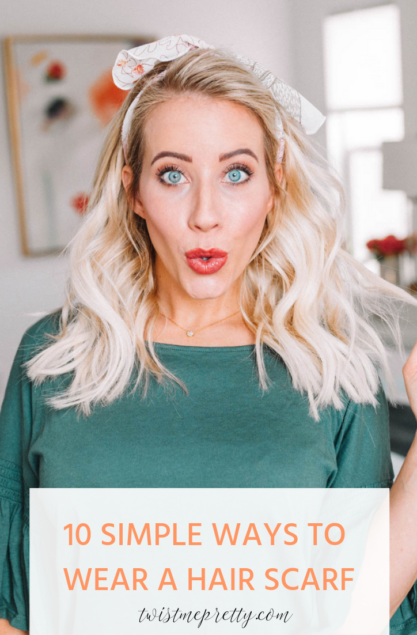 It’s fun and flirty and easy to do. 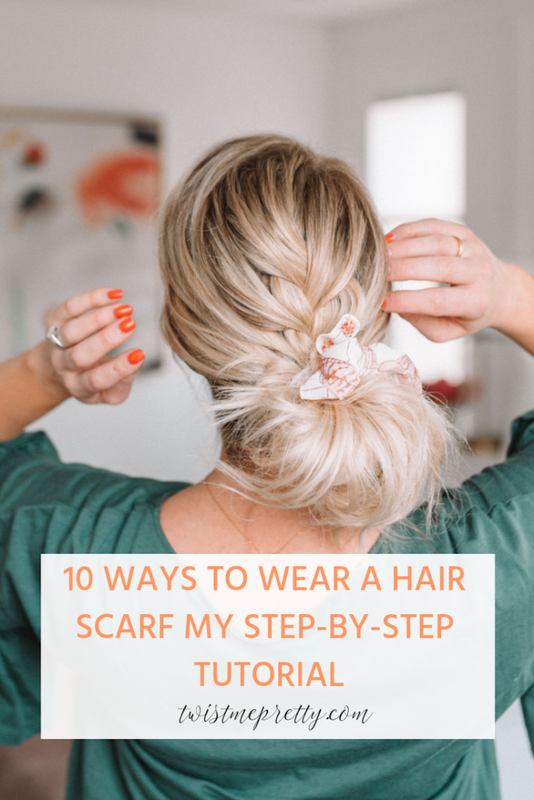 I’m so excited to show you 10 ways to style a hair scarf. 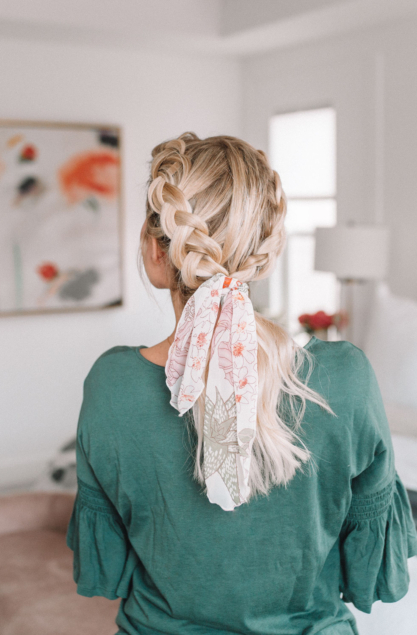 First, my favorite hair scarves can be found over at Flourish. I designed the scarves specifically for hair. 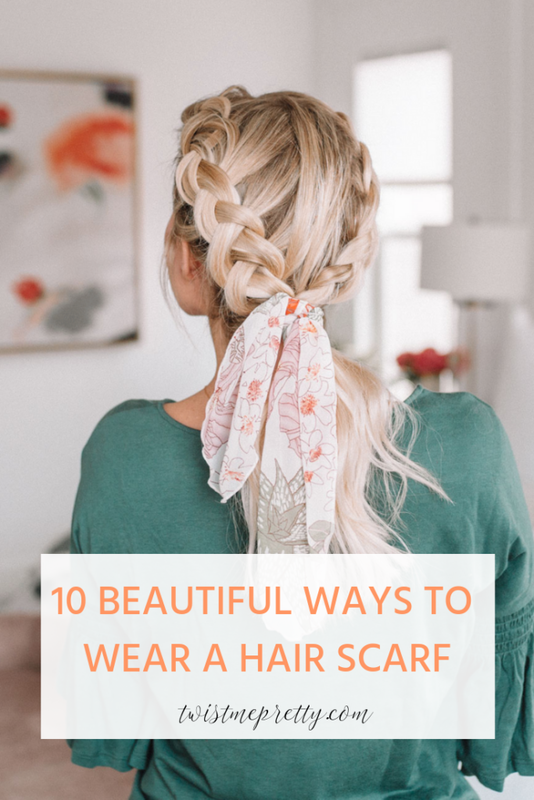 They’re long and narrow, have great drape and aren’t too heavy with useless amounts of fabric like you see in other hair scarves. 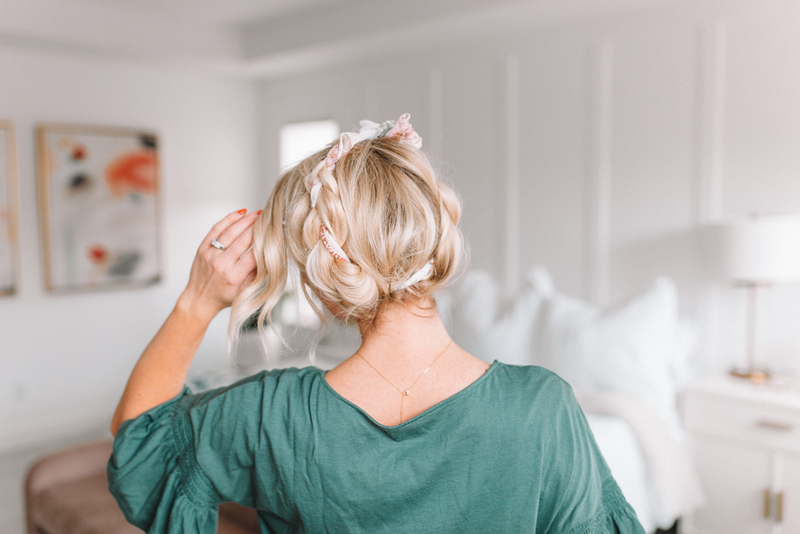 You can braid with them, they’re great in thick hair and short hair and everything in between and they elevate every hairstyle! Needless to say, I’m obsessed. 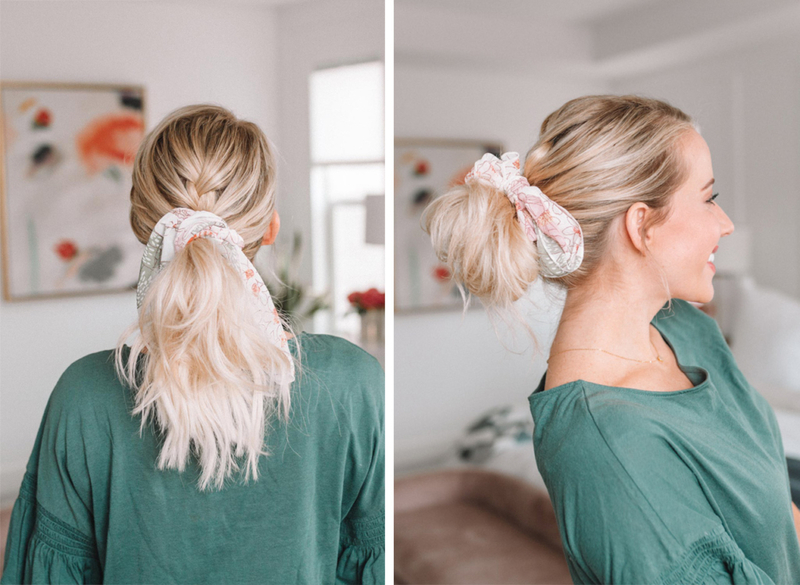 You know I love a good half-up top knot, so when you add a scarf it really takes it over the top. 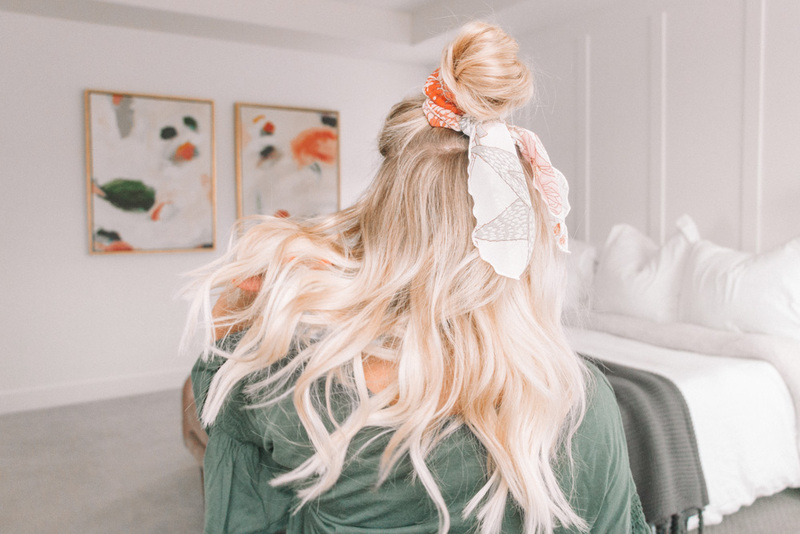 The half-up top knot is for that day when you want to style and go. All you need is a single clear elastic and the scarf. If you are feeling a little nervous about wearing the scarf so boldly up top, this center braid is the way to go because it is a little more subtle and sweet. 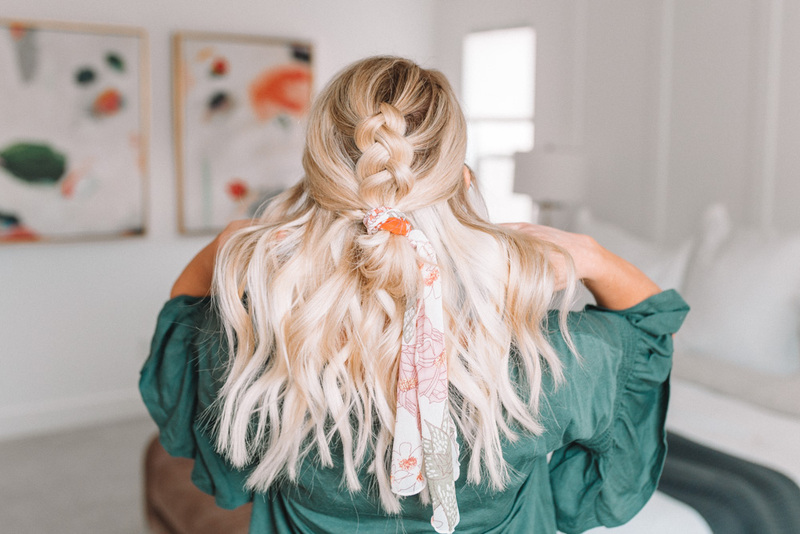 To create this look, do a quick center french braid down the top middle of your hair, add the side pieces and finish off with a knot and scarf. Super sweet. 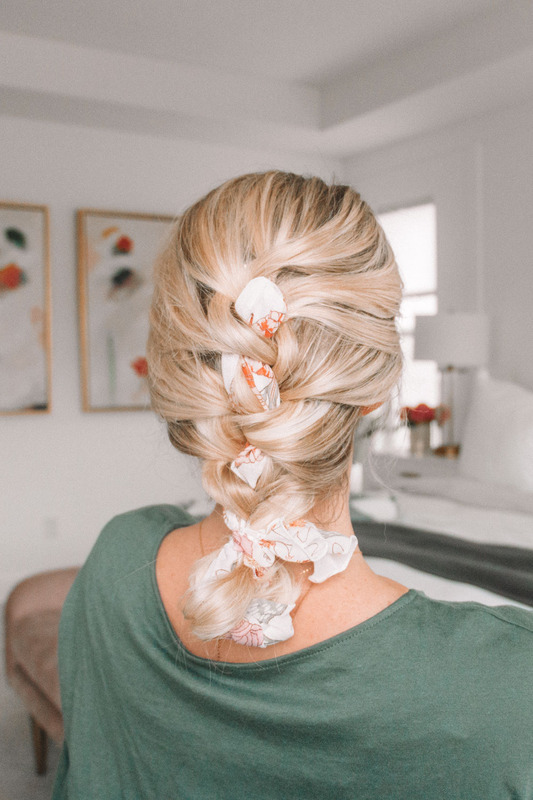 Want to add a little fun to your normal french braid? 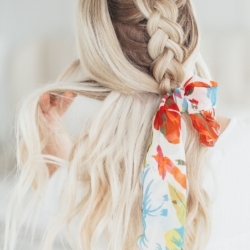 This scarf makes this hairstyle pop! 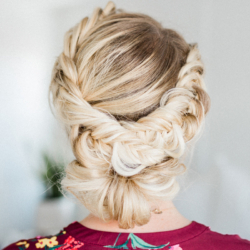 Oh, the dutch french braid, how I love thee. And add a pretty scarf and I am dying. This is sooo pretty!! 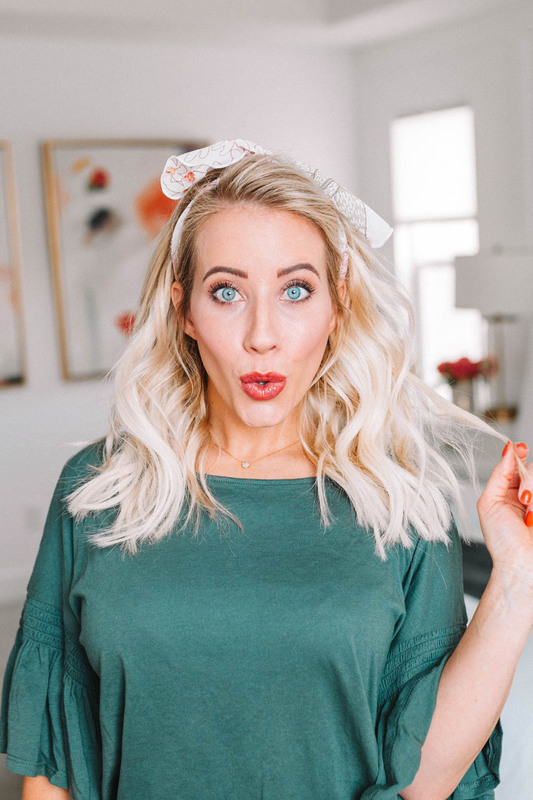 Have you ever worn this hairstyle before? 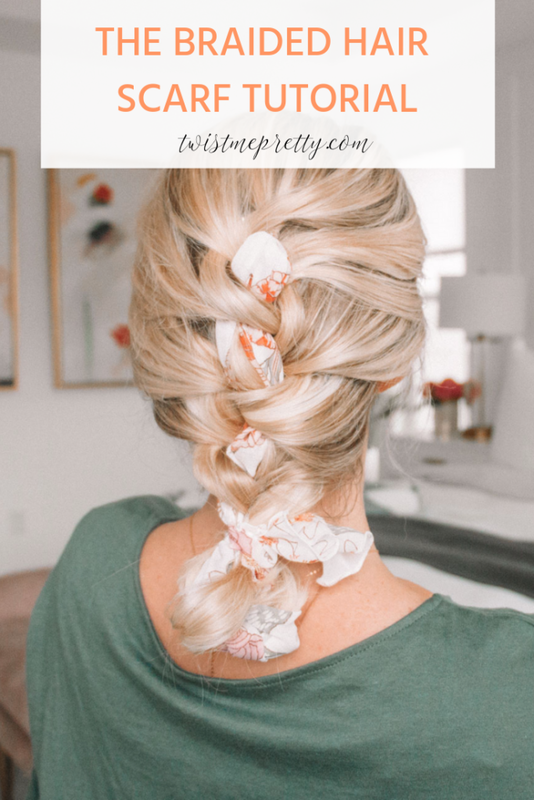 If you need a refresher on the dutch braid, check out my tutorial here. Now, this next one is going to have everyone talking. It looks a little tricky, but trust me when I say, “You can do it!”. 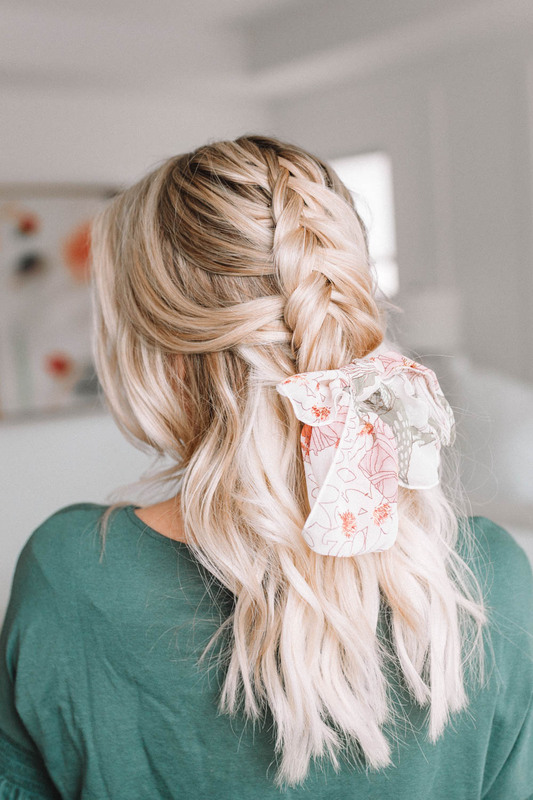 It’s a simple french braid and the scarf is the third section of hair. 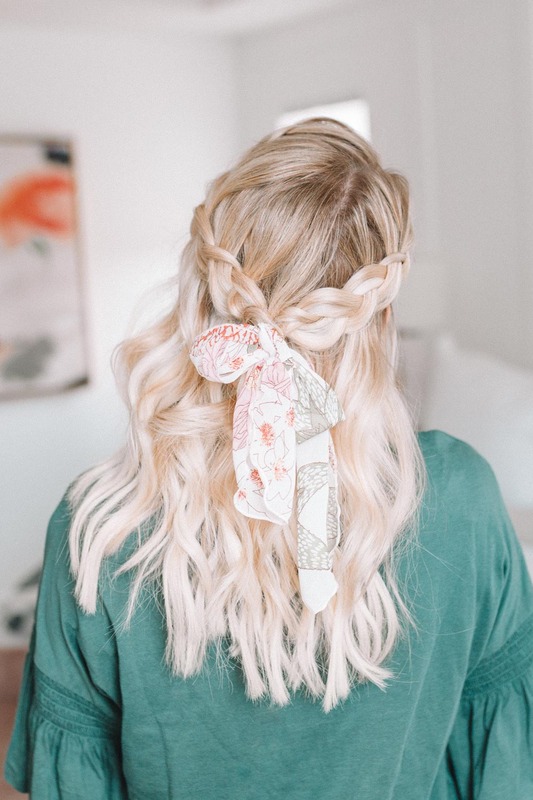 I love how the scarf stays in the center when being braided — so pretty! I mean are you even kidding me right now with this beautiful braid? It is so simple and so cute. I shared this tutorial almost a year ago and it’s been one of my favorites every since! 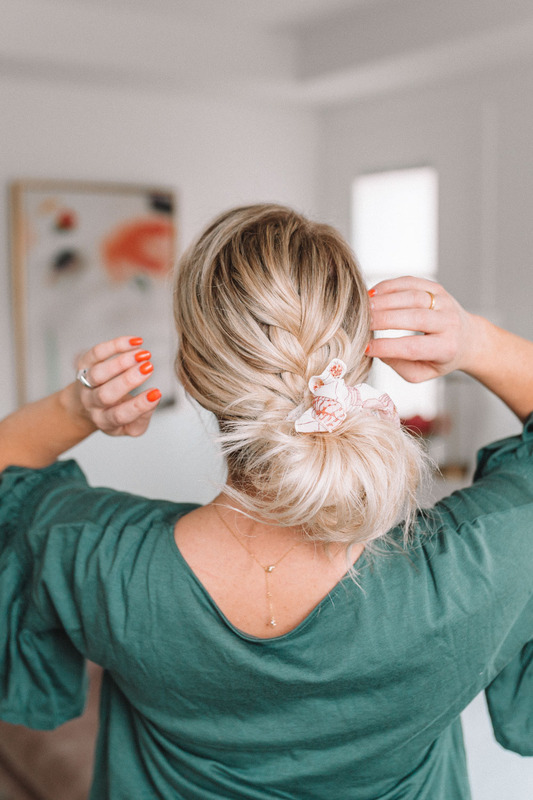 Ready to take that top knot to the next level? Add a scarf for a simple and classy upgrade. 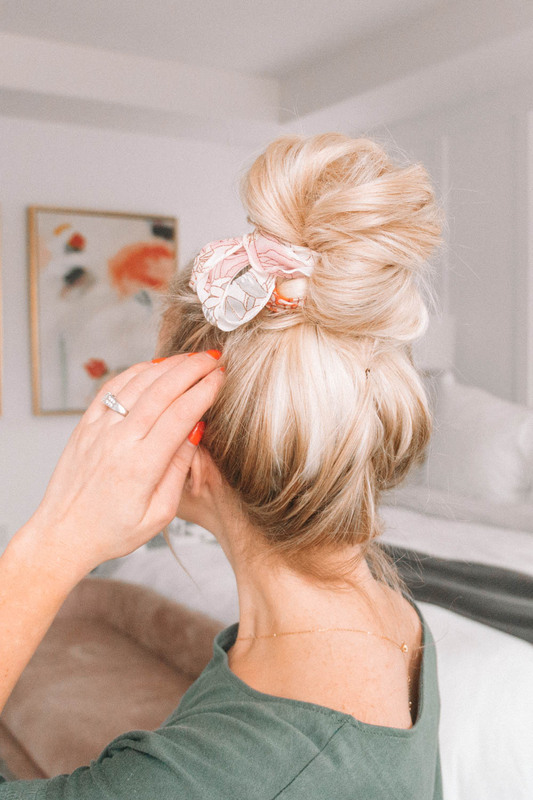 If you’re into top knots because you know, they’re the best, you’ll love this video on five ways to do a messy bun! Want to add a little “pow” to your everyday look? Scarf headband to the rescue. 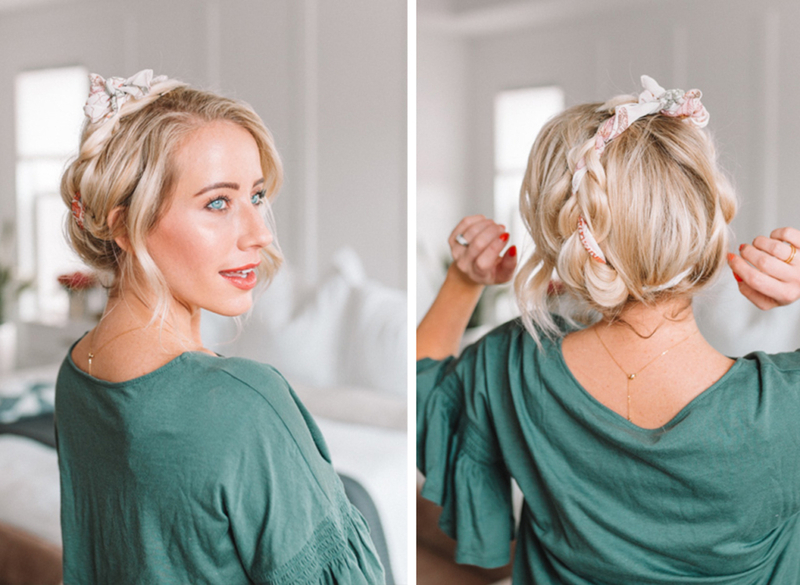 This is such a cute and effortless way to style second day curls!! 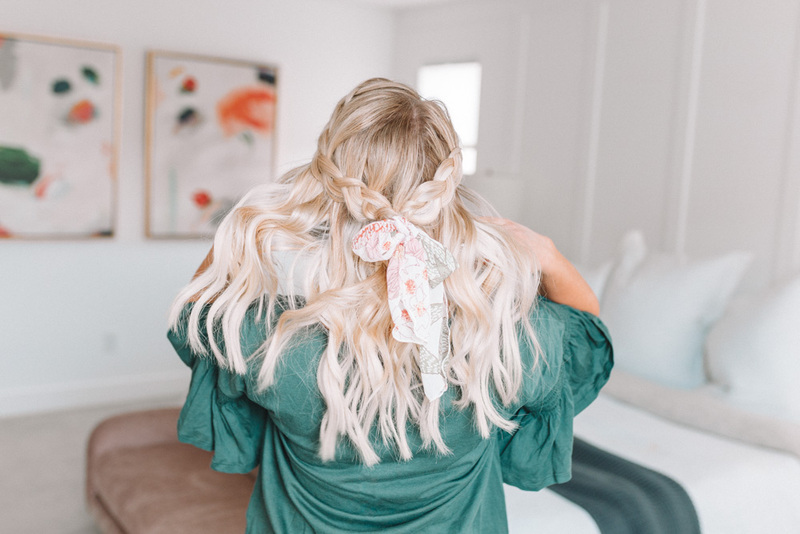 If your curls are needing a little extra help make sure to see how I curl my hair with a curling wand in this video here. This might be my favorite one. Just look at how pretty it is! 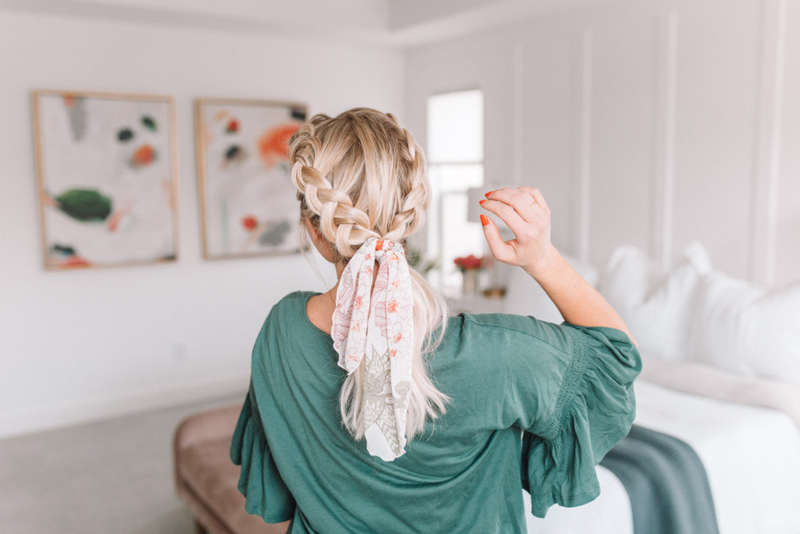 It’s two dutch braids tied together in the back with a hair scarf. 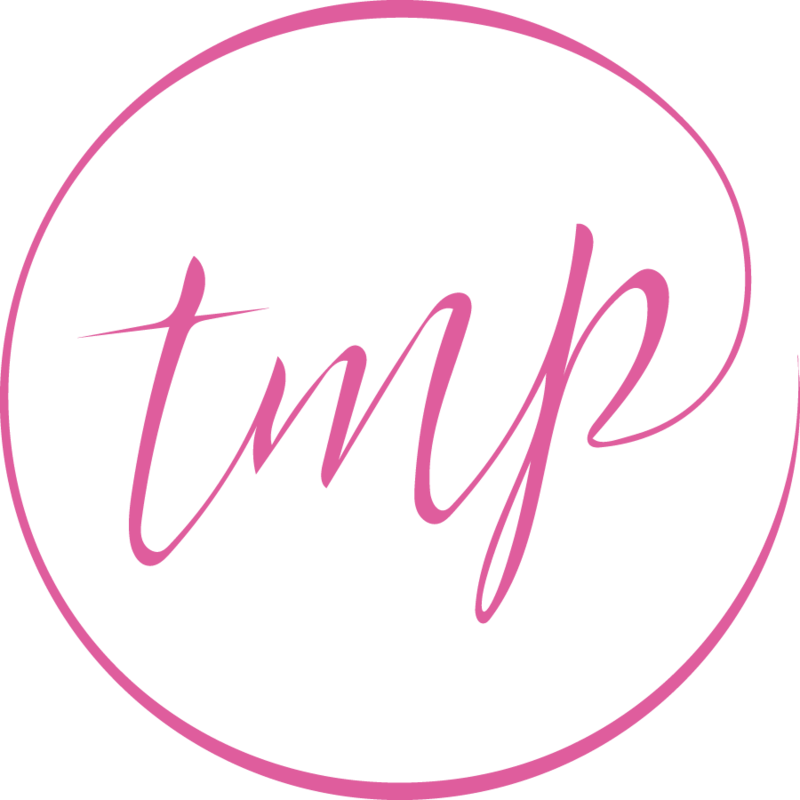 Easy, gorgeous and perfect for any event you can think of!! I’m in love with the last one. 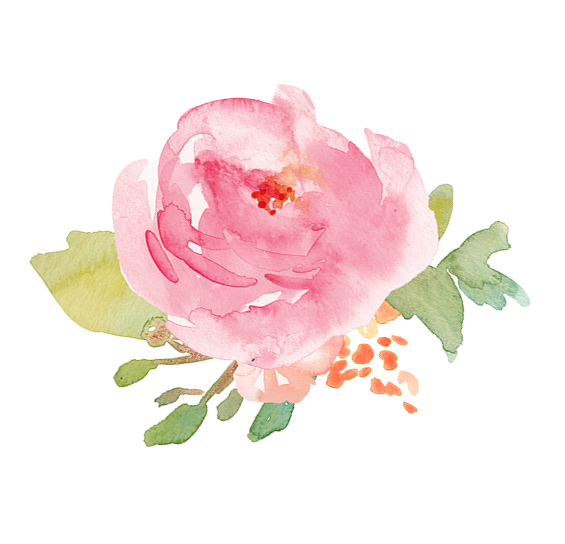 It looks elegant and playful all at the same time. 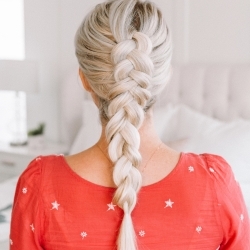 Don’t let the dutch fishtail braid fool you — they look complicated but are fairly easy. 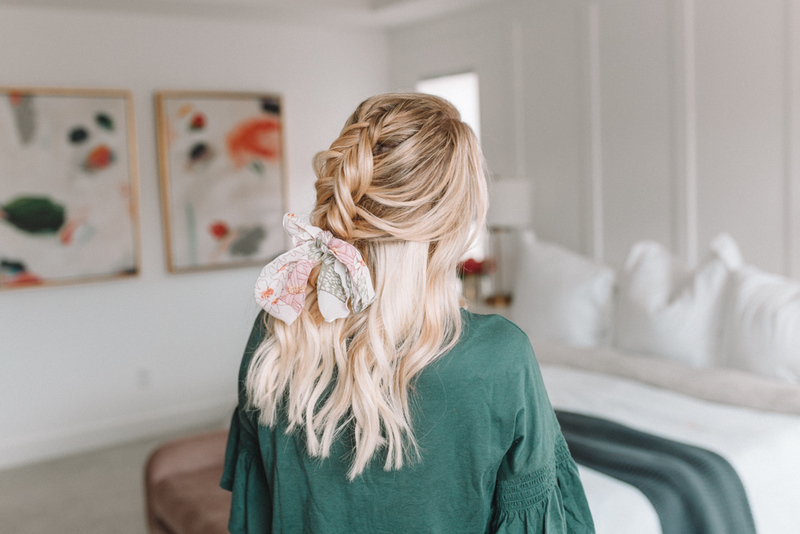 If you’re knew to the fishtail braid, check out this video here for beginners and I’ll whip your braids into shape in no time! Alright, my babes! What do you think? 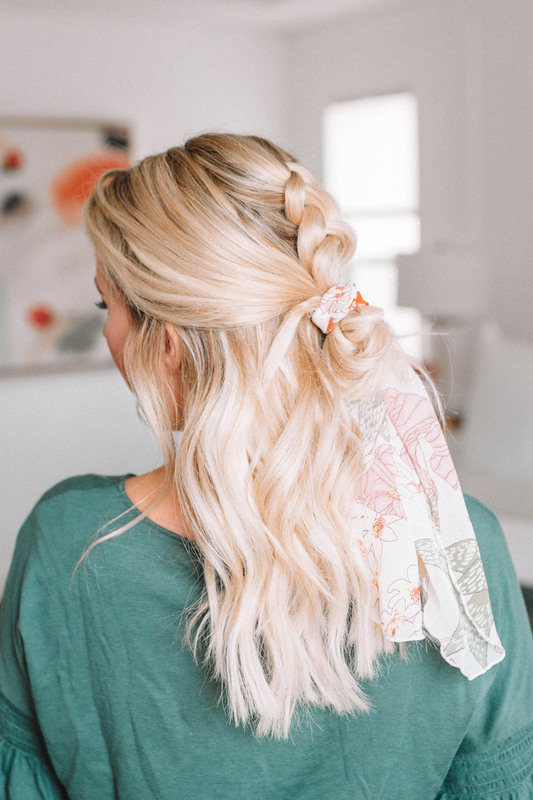 Are you jumping on the hair scarf wagon? I say yes! 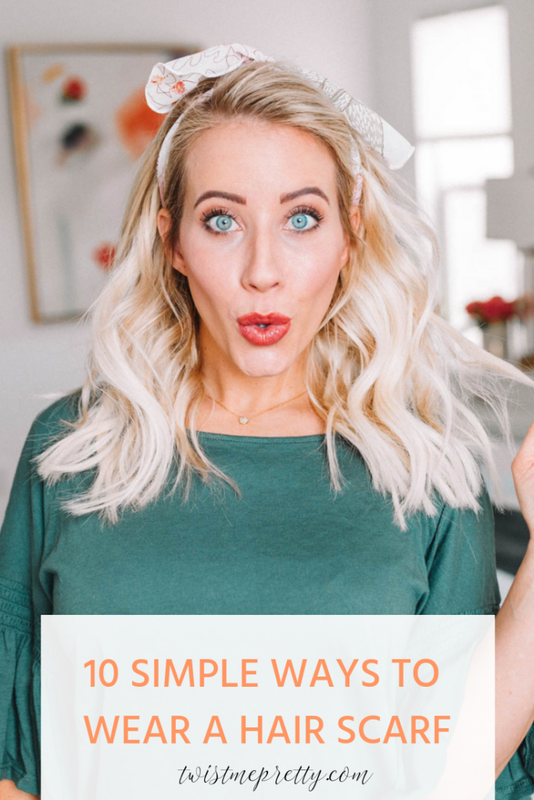 And look, now you have ten different hairstyles to wear with them! What style do you like the best? Tell me in the comments and don’t forget to pin this post for later! 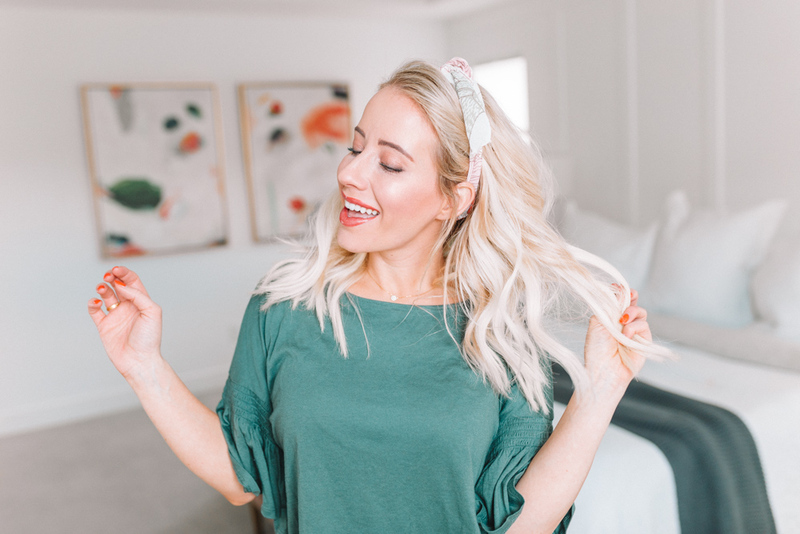 Don’t forget to checkout my favorite hair scarves here and in the next couple of weeks I’m sharing my favorite hairstyles to wear with my favorite bow scrunchies! Ready to watch the tutorial? Here ya go!